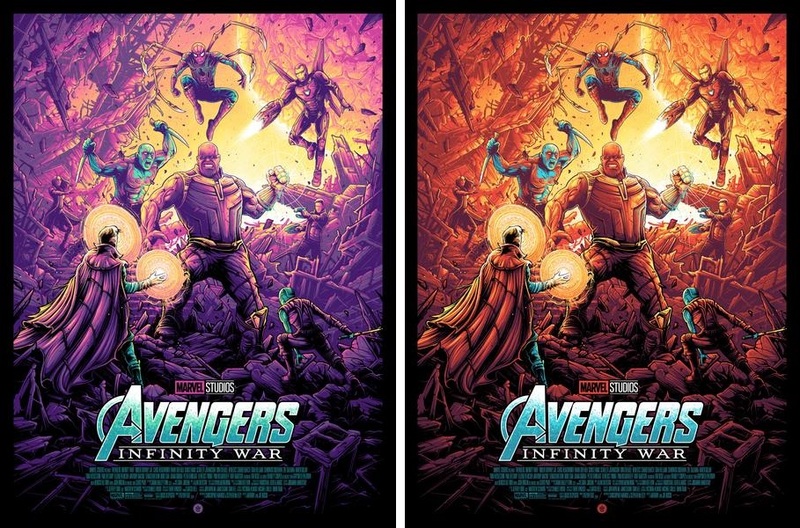 Yesterday, Grey Matter Art announced a second batch of New York Comic Con 2018 exclusive prints, including this epic Avengers: Infinity War Movie Poster by Dan Mumford! The Blot’s a huge fan of Mumford’s work, and I always love seeing his take on larger than life moments from my favorite comic book movies. Avengers: Infinity War by Dan Mumford is an 18”x24” hand numbered Marvel screen print. The Regular Edition is limited to 200 pieces and will retail for $45, while the Variant is limited to 100 pieces and will retail for $55. Collectors can purchase these MCU prints at the Grey Matter Art NYCC booth #3064.